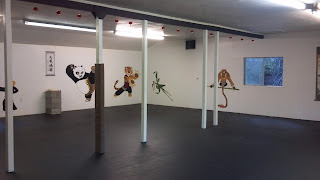 Because of the Summer Weight Loss Boot Camp sessions and Tai Chi classes we decided to give the training room up at the Pine Grove Dojo a bit of a face lift. Here are some of the pictures we took during the face lift. It's still not completely done, but we thought you all might enjoy seeing the progress made so far. 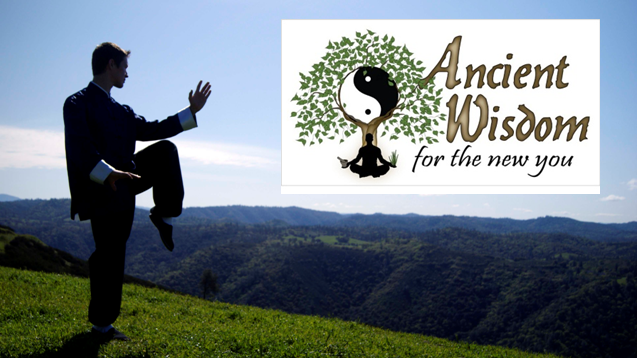 If you're interested in joining us for any Tai Chi, or Weight Loss Boot Camp Classes in our newly refreshed room check out our Class Schedules and Locations. 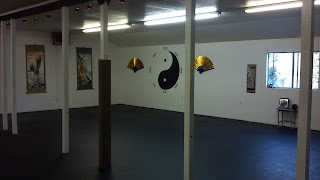 This first picture will give you a feel for what the room looked like before. Grey floor and white walls. 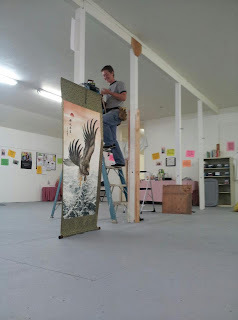 In this picture Shifu Andrew Plitt is reinforcing a post that will be used for fist conditioning. 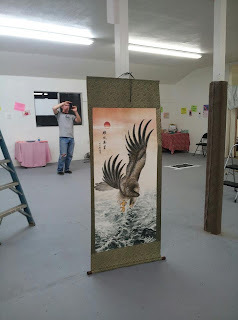 This is one of the wall scrolls that will be used to decorate the room. 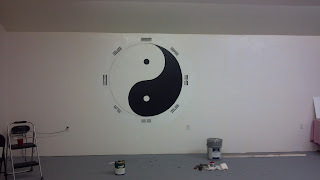 A Yin Yang symbol with the Ba Gua that we painted on one of the walls. 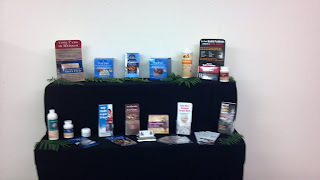 Our product display for Amador County's Online Health Food Store. 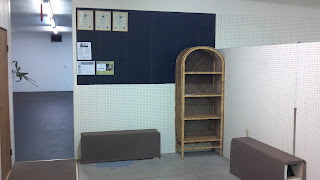 Here is the new entry-way into the training room with benches made from recycled building material and a shoe rack. 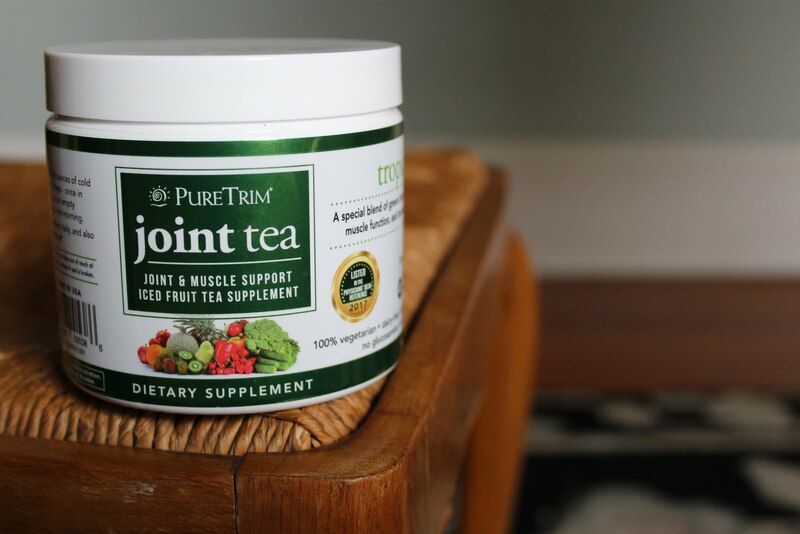 When you walk into the room and look to your right this is what the room looks like after its "face-lift." This is the view from the other side of the room.